Locked out and need a Locksmith Bromley? 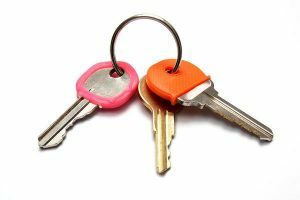 We are here for you in your time of need, we understand the stressful situation of losing your keys so we will get to your house within 30 minutes to help make your day as stress-free as possible. Our Locksmith Bromley works on weekends and public/bank holidays. That is how we ensure you aren’t left helpless. It doesn’t matter what time of day or night it is. We will get to your house within 30 minutes. Feel free to call us any time of day on 0203 538 5352! Our trained operators are on the phones night and day to bring you the best service in the industry. The fast locksmith Bromley to solve all lock problems. Updating your locks, help from your Locksmith Bromley. Here at Locksmith Bromley we keep our vans fully stocked. So we can be ready for any situation. Has your home been broken into? Or maybe you just want to secure your home? 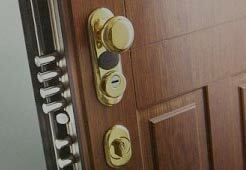 We can give you the best ways to secure your home with high security locks. Our operators at Locksmith Bromley are always here to help, so call us today and we can discuss the best type of lock to fit your needs! Installing a garden light with your Locksmith Bromley. Locksmith Bromley recommend to install a flood light with a basic motion sensor that will detect any and all intruders in your garden. Locksmith Bromley can help install a motion sensor for you! With the light it will allow you to see if there is anything or anyone out there. And if there is the light you may just scare them away! How secure is my nightlatch door lock? Often the question is raised as this type of lock, just from the look of it smaller and looks less substantial than for instance a deadlock bolt. A nightlatch, just to clarify, is the type of lock which locks automatically behind you as you shut the door. The latch can only be opened with a key from the outside. It’s spring loaded and if the initial installation of the lock was poor the security it provides can quickly diminish. 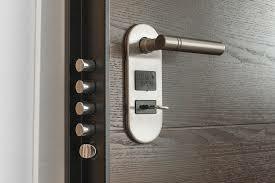 With the choice of a good night latch door lock from a trusted high quality manufacturer security for the door itself. With the proper installation it provides a good amount of resistance against any attacks and burglar attempts. Given that you have ensured a choice of a trusted manufacturer known for quality. For example, the latest anti theft models from Yale is something we warmly recommend. Their high security models are wonderful night latch door lock choices. For help and assistance with choosing, installing and using a nightlatch door lock you can call us at any time. 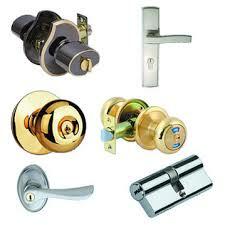 To answer the question of how secure your nightlatch door lock is feel free to call us at any time. If we can identify the model of your lock, we can give you a detailed breakdown and give our recommendations towards action. Together with a five lever mortice deadlock or other bolted lock in addition to your latch lock your door security will be up to the highest current industry standards for home security. If you want to know more about what a five lever mortise deadlock is, more information will follow shortly. Or if you need to have one installed feel free to contact our quick and professional installers. 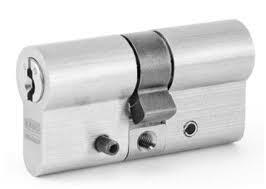 We’re always happy to help with any nightlatch door lock or other locksmith query you have. Is a smart home security system good value? On the market there are many different varieties of smart security. What is referred to is the capabilities of such a system to be integrated with other features of your home. 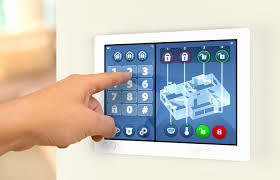 Being able to monitor and control the different features though your computer, tablet, phone or provided hub. Much of the value which is gained with a smart home security system lies in the convenience and control it provides. If a smart home security system is good value for money is highly subjective. It depends on what you are hoping to get out of it. Compared to a regular home alarm and monitoring system a smart home security system comes in at a higher price. It’s debatable, and up to you, if you find the features that come with the system good value or not. Looking into buying a system like this. There are a few things good to keep in mind. With the sheer number of entries of good quality smart home security systems on the market. Be sure to pick one from a trusted brand. We recommend the companies which have made their name within the security industry. As they have the backing of many years of security industry experience. However, the first thing you should investigate is the features of each system that you are interested. Also keep aware that some smart systems come with an additional subscription fee for security services. Which may make a smart home security system a poor value for money deal. You are welcome to discuss your home security upgrades and plans with our specialists at any time. Ring now to discuss a smart home security system which will bring you great security and great value. 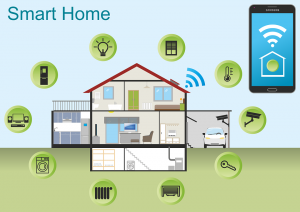 Read more about common features among smart home solutions here. When moving home, you need to have a locksmith you can trust. In fact, everyone involved in the moving process has to be people that you can trust. After all, this may well be one of the biggest decisions in your life and you need to be sure that no one is taking your happiness for granted. As such, it’s best to save the number of your expert locksmith Bromley in your phone book. We understand that moving can be stressful and the last thing you need is someone who doesn’t understand that. That’s why the best thing you can do if you’re moving to the lovely Bromley neighbourhood, is save the number of this professional locksmith Bromley. The locksmith Bromley team also understand that when moving house, the last thing anyone needs is another extortionate expense. After all the solicitors’ fees and administrative costs, you want someone who can help you with those finer details at an affordable price. The locksmith Bromley team understand this and part of our mantra has always been to ensure that our services are available to all, be it the wealthy or not so well off, everyone deserves access to reasonably priced home security guaranteed by affordable lock changes. What’s more, if you’re moving house, the locksmith Bromley always enjoys offering discounts to customers when you need a number of locks changing. After all, if we can get more work done for you in a short period of time, you shouldn’t have to pay more for that? In fact, even if you’re a landlord and you want to get into the habit of changing your locks when tenants move out, we are happy to work with you and arrange a business relationship to ensure you don’t pay over the odds every time the locks are changed when a tenant moves out. For more information, call the friendly locksmith Bromley today for a free, no-obligation quote on all works. The Importance of Anti-snap Locks, simple advice from your Locksmith Bromley. uPVC lock, this can be “snapped” which renders the multi-point locking mechanism inside your door useless, allowing them to get into your home within seconds! But don’t worry, call your Locksmith Bromley today and we can help you secure your home! Locksmith Bromley always keep our vans fully stocked so we can change your standard uPVC lock for a more advanced Anti-Snap Lock! This is of high importance especially if you’ve been broken into recently or know someone who has in the local area. So how does “cylinder snapping” or “lock bumping” work? Well the scariest most concerning thing about this type of break in is that it’s very common and it’s common because it doesn’t take any skill or specialist machinery, this means anyone with access to a pair of pliers and a screwdriver, they could now also gain access to your premises quickly and with no fuss. So How does an anti snap lock save you from this? Well the fundamental problem with the normal euro cylinder, the property that made them so problematic was the fact that the weak point was at the mechanism so if you were able to snap it off with a piece of pliers a child could open your lock with a screw driver from there. Anti snap locks are very smart to combat this problem making a weak spot at the front of the lock so when the thieves attempt to snap the lock to gain access to the mechanism, instead of snapping at the mechanism the lock will snap on the front which won’t make a difference to the mechanism. We feel anti snap locks are a worthwhile and cheap investment to stop break ins, especially if you’re someone who likes to go on holiday a lot, these locks will give you peace of mind no matter what side of the globe you’re on. Any questions about anti snap locks? installations? replacements? repairs? Don’t hesitate to call our friendly team for a free over the phone quote. Bringing the best of the best, the highest value for money and the most suiting products for your individual situation is part of the locksmith Bromley’s practical ethos. This translates for us, not only work to bring great service within a short time space, but also applies and extends to the care we nurture for our customers and their security. This means that life at locksmith Bromley often included study, research and practice. These activities we gladly take on. And with experienced eyes we survey the progressing market for the most relevant security products out there, so that you don’t have to. If you just want it easy, simple security with fast instalment and seamless to integrate in your daily routine. There are as many reasons to give your locks love and attention as there are reasons to give yourself love and attention. By caring for your own safety and security, you are treating yourself with the respect you need. You are providing a safe place for you to rest, work, dream, be creative or whatever else it is that you might be up to. With locksmith Bromley creating a safe and secure haven for yourself. For your family, for your work and other. Is easy. You just need the phone number to a caring locksmith Bromley specialist who can help create that space for you. You may have heard about the importance of sleep and rest to reduce stress and anxiety. Locksmith Bromley knows well the ill effect of stress caused by lockout situations, or by poor security situations where men, women and families don’t feel secure in their position. A locksmith Bromley technician can help you secure your home or workplace to the level you need. At affordable prices. Security for everyone, private homeowners, organisations, businesses and anything else we see a right. And it is the mission of every locksmith Bromley professional to help you find that. In your day to day and for the future. Solutions for the long terms which will keep you and your investments safe are available with us. Low prices, fast service, and easy installations are available. Get in touch with the skilled and highly trained locksmith Bromley lock specialists now to find out more. Contact our partners if you have a blocked drain that needs unblocking. Can a locksmith Bromley high security lock installer help me keep top door security? To get the best lock security in the area. Employ the best highly skilled security technicians in the area. As easily said as done, as local locksmith Bromley professionals usually say. What you need is a phone, and the number above. Our contact will provide you with the high security door and lock information you need. Just as the skilled advisers will provide you with the installation, the parts, the advice and everything else you need. Speak your insecurities on the security front, ensure that you understand your home or your business security needs with professionals in locksmith Bromley areas. Call now, get your quote or book in for a high security check, lock check or a consultation with regards to your security door needs. With locksmith Bromley security specialists you can be sure to have the right product for your needs. And the right friendly and highly trained technician for the installation job. Don’t let poor installation work for your high security door invalidate its features and make it a low security door. Instead Get in touch with the skilled professionals in your locksmith Bromley area. Help is fast, prices are competitive. All your security, lock, alarm and installation needs can be seen by the fast and amazing crew in the locksmith Bromley regionale. 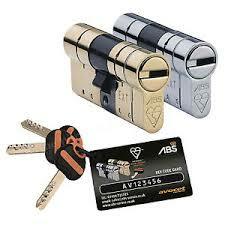 If high security locks is what you need help with. A locksmith Bromley specialist high security door installer is what you’ll need. And what you will find if you make use of the number above. Get in touch with our friendly skilled lock experts today. There is never a need to be insecure about your security, or worry about risk with the skilled technicians here at your side. Can a locksmith Bromley help me with my secure letterbox installation? Although it’s not something though about often. 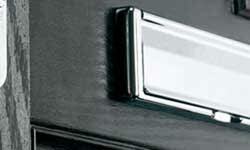 The professional installation of letterboxes in doors is needed. If the alignment is wrong, if the placement is made faulty and if the lock type for the door is chosen without care, there may be an increased risk of intrusion by burglars. Skilled professional thieves who have learned how to use the right tools to open doors though wrongfully installed letterboxes which lack the security features needed today. Speak with locksmith Bromley letterbox installers now to get your door addition in place without risk. Door security is the first, and most important part of your home security. A locksmith Bromley technician can help you get your door security up to the standard required today. If there is a home insurance policy in place, there is good reason to ensure that your door security items are in line with what it states. Validate with a locksmith Bromley technician today, and make sure that should push come to shove. You are able to claim on the policy you so diligently pay for. A trained locksmith Bromley security letterbox installer can help you with the choice, providing the product. And of course the quick and easy installation of the box itself at a time that suits you. Quick, easy and affordable. Get your quote for a locksmith Bromley letterbox installation now by giving us a ring on the number above. Key, lock and other security questions are also addressed, any need you have. A passionate locksmith Bromley assistant can help you with. Including an emergency requirement. Call now to find out more info or to book an appointment. Local, skilled and caring locksmith Bromley professionals are always waiting for your call. Here at Locksmith Bromley, we genuinely care about customer service, not the new buzzword pseudo customer service you’ve become accustomed to, but the real essence of customer service. We’re dedicated to providing our customers with a great service and we’re not just saying it like some of the companies who have 3 pages on their website about their excellent customer service, and then throw it all out of the window once they smell you reaching for your pockets. We take an active approach to making sure our customer service is on the same standard as our locksmith work. We’ve even heard about some companies charging more depending on the customers post code. We think this is a dreadful way to conduct business especially after the farcical customer service statements. We there at Locksmith Bromley think that good customer service is all about an open dialogue between customer and business and visa versa, that’s why we run a 24/7 365 day a year phone line where anyone can call and ask about our work or the services we provide. Just a way we like to say thank you to the people of Bromley for over 20 years of support and business. The phone line isn’t your average company phone line as you’ll be put straight through to one of our trained advisors who’ll help you to remedy your issue, so no automated messages or waiting on hold for hours, just quick help and a look into getting you back on your way again. Call us today and see what we can do for you. The new technologies out on the market today is no doubt at times confusing and can cause you to have second thoughts on an idea. Which was first entertained with hopes of easy high security solutions. The confusion is a result of the many security products we are met with if we have a browse around the internet and the security industry market today. Without a professional locksmith Bromley work member to help you. With experience in the area, it may stop your security upgrade completely. Not something advantageous or advisable for you. Security is a point in need of both discussion and upgrade in most homes and businesses. A skilled locksmith Bromley pro knows just how much pain, stress and suffering a good security system can save a person. A home intrusion can be devastating and theft where insurance validation was lacking has been known to wreck the personal finances of many households. Make sure you are up to date with skilled locksmith Bromley work women and men today. Either way, the most important thing for you should be to keep safe and secure. Having up to date locks on your door, and giving serious thought to an integrated smart home alarm system is highly recommended. Most homes benefit from this type of system. As a locksmith Bromley member knows it to be both practical, flexible and highly secure if installed in the right way. Speak with our skilled advisers today, get the lock installations, key cutting and smart alarm installations you need from experienced tradesmen today. An equipped and trained locksmith Bromley helper is waiting for your call. How can I improve my garden security with locksmith Bromley? An idea which seldom strike the average homeowner when thinking about home security. Is that of garden security. Often what first comes to mid is the security of the doors and the locks on the buildings. Surprisingly, locksmith Bromley also meet with many people who think about security alarms and security cameras before they give second thought to the importance of the outdoor areas. Garden security and other outdoor security can make a vast different to the active security and deterrents of your area. Ensure that you are up to date and have all your outdoor areas covered in the right way. Letting locksmith Bromley help you with the matter will help you to cover all your grounds and lessen any risks in your garden. If you are worried about cost, there is no need. With a quick and caring locksmith Bromley crew on your side, your budget is always kept in mind. No matter how large or small it is. Plus, there are a countless number of good ways to increase your home outdoor area security and your garden security without major cost. 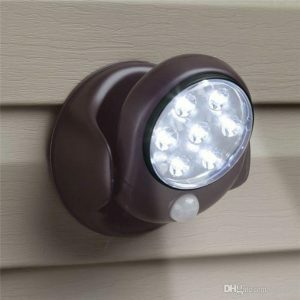 A few examples from your expert locksmith Bromley staff are, outdoor lights activated by motion sensors. An alarm panel and alarm for your main building. Trellises above your garden fence to remove ease of climbing it. Added bolts and security padlocks or alarmed padlocks for your outdoor structures. The list could go on, but as it is long. Locksmith Bromley suggests that you get in touch with us if there are questions. Or if you would like more information about how you can get your outdoor areas up to scratch. Book in for a security survey with locksmith Bromley now. It covers both your indoor and outdoor areas, and in it. You’ll find the tips and advice you need for both. Plus, you’ll have the opportunity to ask a trained locksmith Bromley technician any and all your security questions. Can a Locksmith Bromley help improve my commercial security? Rising crime rates means protecting your commercial premises is more important than ever before. People don’t think twice when it comes to protecting their home. After all, it’s where we keep our prize possessions, where we rest and relax, and of course where we live with our family or friends. However, security at business premises is often weak solely because owners don’t understand the variety of threats that face commercial properties. These premises can include warehouses, hotels, office blocks and high-street shop. 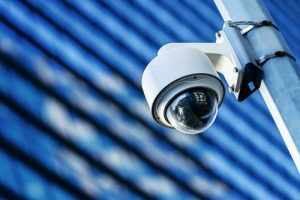 As such, it is clear that the variety of commercial properties means it is important a Bromley security professional understands the different types of strengths and weaknesses of such properties. Only a locksmith with years of experience operating in Bromley and the surrounding neighbourhoods will be able to address such issues. Thankfully, our team of highly-trained locksmiths enjoy working on all types of commercial premises and have worked for a number of years advising and protecting small business owners in the local area. As a small business ourselves, we understand the importance of protecting assets and we don’t believe anyone should be priced out of this. That’s why we always recommend cost-effective solutions to match the budget of your business. It doesn’t matter whether the security is traditional or hi-tech, there’s an affordable solution for all. Office block security systems can present a unique challenge as they need to provide 24 hour security for a large space. Having an infallible system is even more important for those located in business parks and commercial estates away from the main town centre. Even operating these systems can prove difficult which is why whether we install CCTV or burglar alarms you can be sure to receive expert training. By having dedicated personnel with knowledge of the system you can avoid having to call out expert security professionals for a costly charge in the future. All our expert locksmiths are also capable of completing all other security installations you would expect at common business premises. Whether your warehouse needs thick, aluminium shutters installed; you need to regain access through the shutters on your shop front, or you need a new deadlock installed at your shop on the high-street: whatever the scenario may be, your locksmith Bromley has you covered. Then locksmith Bromley is the service for you. Quick solutions of great quality and prices which compete to stay low for you. After all, for locksmith Bromley you are the heart of the practice, what we care for the most. And through knowing that the improvement of your security may improve your life in general. We take on work with strong dedication and work ethics. Call now to discuss what it is that you need to have done and expect friendly voices and friendly prices. The survey of the industry market and practice in installation sharpens locksmith Bromley precision and increases the integrity of any security features we install. Feel free to ask any of the many long term customers who keep coming back to us for the reason they do and you’ll soon find out that quality, care and competitive prices are factors playing a huge role. Questions are also welcome, speak to us now by calling, or send us an enquiry through the contact page and have a quote ready in your email to look at when you have time. It has been a long journey for the men and women working in our at our wonderful and traditional, yet fresh and up to date service. Through thick and thin we have stuck together to be able to provide the locals with the security they need to feel safe and secure. Should you wish to ensure great safety and solid security at your home or for your business workplace, the best and most seamless way will no doubt be found with locksmith Bromley. A phone call is all you need and all your security requirements will be fulfilled to the most brilliant of standards. There are no unhappy customers here, locksmith Bromley has made it their mission to make sure that you are happy, that you feel safe. And that you don’t have to spend your precious time and resources worrying about your security. By leaving locks, alarms and other security features together with their installation in the hands of your locksmith Bromley, you’ll be able to focus on the things that matter the most to you. Be that family life, success, or perhaps home making. Regardless of your talents, let the security be handled by someone with talent, interest, education and experience in the field. Locksmith Bromley are here day and night. And calling with your emergency lockout need is something you can do at any time. We know that treacherous lockout situation which can cause devastation to lives with their bad timing are an unpleasant and stressful scenario. And with haste the understanding personnel will be with your to resolve your lockout issue every time. For more information don’t hesitate to make use of the number above.